The FPB 64 comes with a complete awning package, the use of which has been a key design element from the beginning. 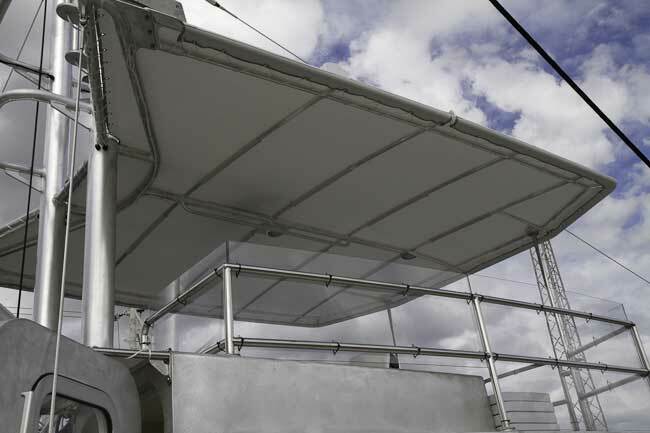 A welded aluminum framework supports the flying bridge awning. This provides the strength to support the awnings into moderate gale force winds. Excellent protection from sun and rain is provided for the flying bridge and an awning can be developed for the aft deck as well. 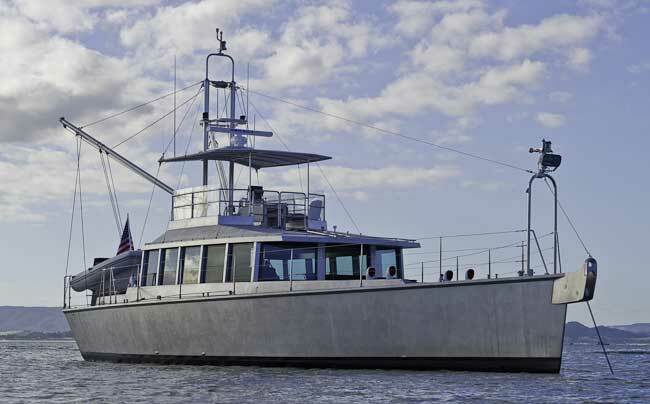 An aft deck awning lends itself to side and perhaps aft curtains of “Isinglass” for cruising in cooler climates. For more information on the FPB 64 contact Sue Grant: Sue.Grant@Berthon.Co.UK. This entry was posted on Saturday, October 15th, 2011 at 5:53 pm and is filed under Dashew Offshore, FPB 64 Updates. Both comments and pings are currently closed.